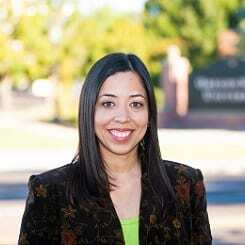 Paty Fernandez is a Ph.D. student in Public Policy at OSU. Through her doctoral research, she is planning to explore the policy and institutional implications of the Water-Energy Nexus, specifically regarding transitions from traditional irrigation systems to integrated systems in the rural American West. Prior to coming to OSU, she earned a BA in Political Science and a Master’s degree in Public Administration and Public Policy from the School of Government (EGTP) of the Tecnológico de Monterrey. She also worked as a researcher at the Institute for Regional Development of the Tecnológico de Monterrey (Mexico), where her main areas of research were water governance and institutional capacity.